THE SPOTTED HARE: Happy Easter . .
May you all enjoy a lovely Easter day with those you love. 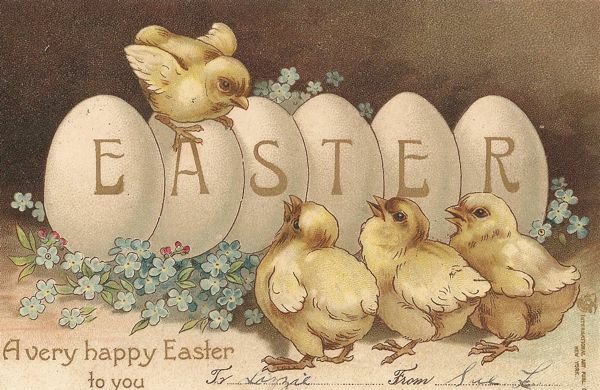 ...Happy Easter to you and yours Lori Ann! Hope you are having a nice Easter and a great weekend. Glad to hear the sale went well, everything looked really sweet, I loved the rabbit couple, what a lot of work you put into them. They are absolutely gorgeous!!! I almost forgot to check in, I was busy doing inventory... at least it's over now. Your work is just fabulous, I love the detail and the love you put in each piece. You are a master for sure!!!! A Joyous ...albeit belated...Easter to you Lori Ann.